Human systems have transformed most of the terrestrial biosphere into anthromes. How have humans transformed plant biodiversity? 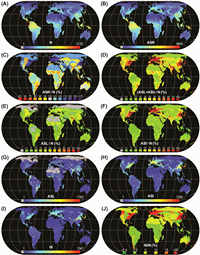 terrestrial biosphere in the Anthropocene. Andrew Revkin Dot Earth Blog (New York Times) How Humans Spread Both Ecological Disruption and Diversity. January 19, 2012.